With Iranians blocked from this month's hajj pilgrimage, their supreme leader Ayatollah Ali Khamenei issued a furious rebuke to rival Saudi Arabia, saying the Muslim world should challenge its management of Islam's holiest sites. 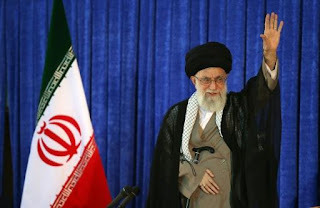 "Saudi rulers... who have blocked the proud and faithful Iranian pilgrims' path to the Beloved?s House, are disgraced and misguided people who think their survival on the throne of oppression is dependent on defending the arrogant powers of the world, on alliances with Zionism and the US," Khamenei said. He accused Saudi Arabia's ruling family, who are the custodians of Islam's holiest sites in Mecca and Medina, of politicising the annual hajj pilgrimage, due to start at the end of the week, turning themselves into "small and puny Satans who tremble for fear of jeopardising the interests of the Great Satan (the United States)". But even by recent standards, with relations between the rival Middle Eastern powers at an all-time low, the language was tough. "Because of Saudi rulers' oppressive behaviour towards God's guests, the world of Islam must fundamentally reconsider the management of the two holy places and the issue of hajj," Khamenei wrote in a statement on his website. He reserved some of his harshest words for Riyadh's response to a deadly stampede during last year's hajj that killed some 2,300 foreign pilgrims, including an estimated 464 Iranians. "Instead of apology and remorse and judicial prosecution of those who were directly at fault in that horrifying event, Saudi rulers -- with utmost shamelessness and insolence -- refused to allow the formation of an international Islamic fact-finding committee," he said. "The hesitation and failure to rescue the half-dead and injured people... is also obvious and incontrovertible," he added.